Joan Fontcuberta (Barcellona, 24 febbraio 1955) è un fotografo, docente, saggista, curatore e scrittore spagnolo. Laureato in Scienza dell’informazione, Fontcuberta insegna Comunicazione Audiovisiva all’Università Pompeu Fabra di Barcellona. 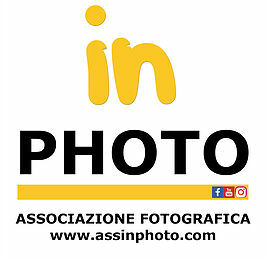 È considerato uno dei massimi esponenti della fotografia contemporanea. Nel 1980 fonda la rivista Photovision e dal 1984 ad oggi ha pubblicato sei saggi sulla fotografia alcuni dei quali tradotti in varie lingue. Le sue opere sono state esposte in numerosi musei nel mondo, e formano parte di importanti collezioni pubbliche e private. È maestro nel manipolare la fotografia, attraverso la quale riesce a dare una percezione distorta eppure plausibile della realtà, allo scopo di instillare il dubbio sulla veridicità della rappresentazione e della comunicazione, il sospetto che il confine fra realtà e illusione sia spesso così sottile da non poter essere colto. Premiato dalla Fotografisches Akademie GDL in Germania nel 1988, Chevalier de l’Ordre des Arts et des Lettres dal Ministero della Cultura in Francia nel 1994, Premio Nazionale di Fotografia in Spagna nel 1998, Premio Nacionale di Saggistica nel 2011 e l’Hasselblad Award nel 2013. Joan Fontcuberta (born 24 February 1955 in Barcelona, Catalonia, Spain) is a conceptual artist whose best-known works, such as Fauna and Sputnik, examine the truthfulness of photography. In addition, he is a writer, editor, teacher, and curator. Fontcuberta received a degree in communications from the Autonomous University of Barcelona in 1977. He worked in advertising in his early career, and his family had also worked in advertising. From 1979 to 1986 he was a professor at the Faculty of Fine Arts of the University of Barcelona, after which he earned a living through his art. In 1980 he co-founded the Spanish/English visual arts journal PhotoVision, and he is still Editor in Chief. Since 1993 Fontcuberta has been a professor of audiovisual communication at Pompeu Fabra University in Barcelona. Among other teaching appointments, he was visiting lecturer in Visual and Environmental Studies at Harvard University in 2003. Among other awards, he was named an Officer in the Order of Arts and Letters by the French Ministry of Culture in 1994. His curatorial experience includes serving as the Artistic Director of the 1996 Rencontres d’Arles, an international photography festival. He exhibited at Les Rencontres d’Arles, France, in 2005 and 2009. One of his fingers is missing as a result, he said in a 2014 interview, to a home-made bomb blowing up in his hand. He says that the missing finger makes him a terrible photographer, although in 2013 he won the Hasselblad International Award in Photography. Fontcuberta describes himself as “self-taught in photography” and considers himself “a conceptual artist using photography.” He states that the propaganda and dictatorship of Spain under Franco in his first 20 years led him to be skeptical about authority, which is reflected in his art. His background in communications and advertising led him to contemplate the relationship between photography and truth, and Fontcuberta believes that humor is an important component of his work. His art has been described as “postmodern. Fontcuberta’s works are held in the permanent collections of many museums, such as Art Institute of Chicago; Center for Creative Photography, Tucson; George Eastman House, Rochester; Los Angeles County Museum of Art; Metropolitan Museum of Art, New York; Musée National d’Art Moderne / Centre Georges Pompidou, Paris; Museo Nacional de Bellas Artes, Buenos Aires; Museu d’Art Contemporani de Barcelona; Museum Folkwang, Essen; Museum Ludwig, Cologne; Museum of Fine Arts, Houston; Museum of Modern Art, New York; National Gallery of Canada, Ottawa; and San Francisco Museum of Modern Art.